We did it!! This is the ribbon cutting from our new office opening, Mar 24, 2016. Our company is built on a foundation of offering the best in customer service, while delivering the highest quality work at affordable rates. This is our commitment and our promise to you. Surety Bond Girls, LLC is a locally woman owned small business (WOSB). As a small local Georgia business, we know the challenges present in our community in obtaining the proper required compliance and licenses for conducting business in our City, State or Federal Government. We can appreciate how cumbersome the licensing, permitting, insurance and surety bonding process can be for our clients. Our expertise is navigating these labyrinths of bureaucratic red tape and procedures, providing you with a simple and 'hassle-free' experience. We specialize in License & Permit Bonds, Probate Bonds, Construction Bonds, Permit Expediting, Small Business Licenses, Trade Licenses, License Reinstatement, and Business Insurance products. Our friendly, licensed agents offer many years of industry experience insuring proper navigation so you can concentrate less on compliance and more on what is most important: growing your business. 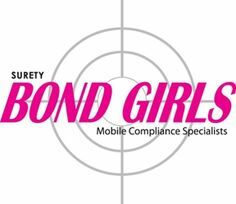 Surety Bond Girls, LLC uses only the most current and secured technology in processing your information. This allows us convenient mobility to our local clients and makes us one of the few Agents willing to go the 'extra mile'. Our streamlined approach and expertise will save you not only time and money but patience while ensuring your business deadlines.